Filling the blanks with the right form of the verb to be. 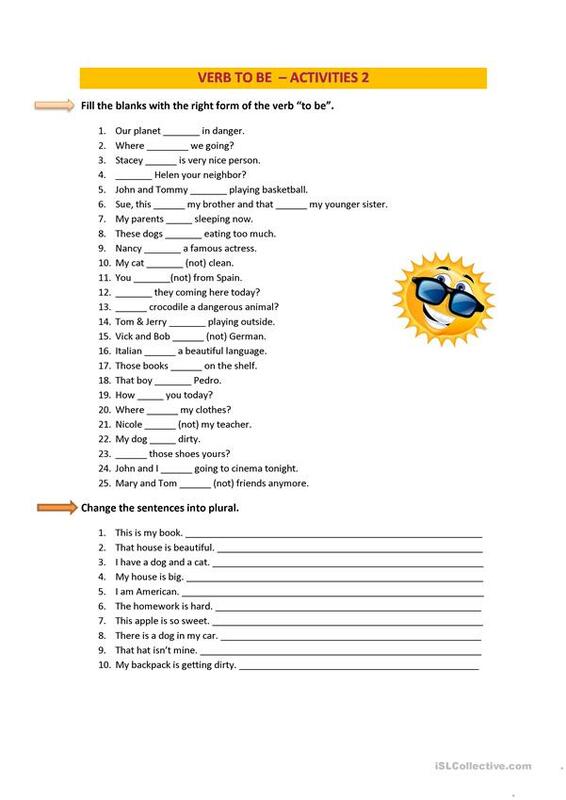 Change the sentences into plural. This downloadable teaching material is recommended for elementary school students and adults at Beginner (pre-A1) and Elementary (A1) level. It is great for practising BE (auxiliary verb) in English, and is excellent for enhancing your groups' Writing skills.